The National Technical Information Service at the Commerce Department is a repository and disseminator of scientific, technical and engineering information. NTIS has been around since 1945, and it has become the agency that just won't die. Last year, then-Commerce Secretary William Daley proposed closing NTIS. His decision came after NTIS established a joint venture with a private company for a Web search service for government documents. The deal was a major embarrassment to the administration because the service just won't be free. When news of the deal broke, the vice president's office reportedly intervened, and the venture was terminated'followed promptly by the death notice for NTIS. But NTIS isn't dead yet. 'For the most part, no one pays attention to NTIS until the agency screws up. The Web search venture was just the latest in a long history of poor management, incompetence and looming insolvency. The fundamental problem with NTIS is its statutory structure. The agency is supposed to be self-sufficient and to fund its operations from the sale of documents to the public. This policy is directly opposed to the philosophy of the Freedom of Information Act, the Paperwork Reduction Act and other laws that generally mandate distribution of government documents at marginal cost. It is also fundamentally in conflict with the Internet. Certainly, NTIS does perform some useful functions. My objection has always been to the high prices that NTIS charges to stay in business. Government information should be available as readily and as cheaply as possible. With the Internet, free distribution is a realistic possibility, a fact that makes any long-term self-sufficiency for NTIS impossible. After all, NTIS barely survived in a paper era. Politically, NTIS is not important enough to keep anyone's attention for very long. Ironically, this has been the key to the agency's longevity. It has a small constituency. When someone threatens the agency's existence, its supporters are able to raise objections long enough for proponents of change to lose interest. Only legislation can be the stake through NTIS' heart, and no one in Congress cares enough. Daley's attempt to terminate NTIS resulted in the usual suspects reassembling to find a way to save it. The National Commission on Libraries and Information Science, nominally playing the role of neutral broker, has been keeping the debate alive, hoping that some intervening event or the end of the administration will save NTIS. NCLIS is holding forums, sponsoring studies and writing reports examining what can be done to preserve, transfer or otherwise save some of NTIS. Meanwhile, Daley is gone, having taken a position as the head of Vice President Gore's presidential campaign, replaced by Norman Y. Mineta. I attended an NCLIS forum last year. NTIS couldn't fight for itself directly, so the old guard from the agency argued that NTIS could sustain itself if it only had an additional $5 million. 'Then the Government Printing Office said it might be able to take over some NTIS functions, but it would need more funds'maybe $5 million. The Library of Congress expressed willingness to sponsor NTIS functions, but it too would need, say, $5 million in additional funding. What's funny here is that if NTIS had the $5 million appropriation, it would not be on its financial and political deathbed. But Congress has consistently declined to provide regular funding for the agency, and it sure isn't likely to reallocate funds so GPO or the library can undertake functions that have no congressional support. So will NTIS survive? It has before. On behalf of NCLIS, Sarah Kadec, a distinguished and retired member of the federal information policy community, compiled a history of attempts to terminate, merge, privatize or otherwise do away with NTIS. It is hard to review that history, at www.nclis.gov, and conclude that this attempt will succeed where others have failed. Still, many key NTIS staff members have left the agency or are trying to leave. NTIS will eventually fade into complete irrelevance, starved of staff, funds, documents and management interest. In the meantime, if anyone is interested in my secret plan to save NTIS, the price tag is $5 million. 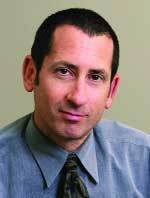 Robert Gellman is a Washington privacy and information policy consultant. E-mail him at rgellman@cais.com.